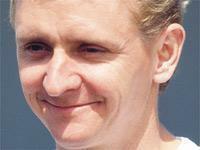 1993 World 500cc Champion Kevin Schwantz will join other road racing greats at the Isle of Man Centenary TT next year. Schwantz faces a hectic week of Suzuki themed activities across the Island throughout TT week as well as the TT Centenary Dinner on June the 7th. Joining Schwantz will be Mitsui Itoh - the only Japanese rider to win at the TT. Itoh will ride in the 'Parade of Champions' on Friday 8th June, on-board his 1963 TT-winning 50cc Suzuki.